Halloween is a time for kids, costumes, candies, and fun. But who says it’s just for kids? Halloween is loved by the big kids too! Adults love to dress up and act silly too! And we certainly enjoy the treats too! My favorites are those bite sized chocolate bars, specially Snickers! 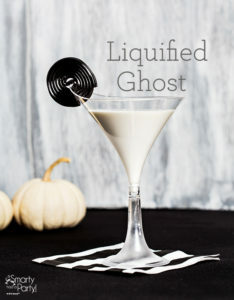 But if that spooky caldron of Halloween Hawaiian Punch doesn’t quite do it for you, or you’re looking for something a bit boozy here are some fun Halloween Cocktails for you! 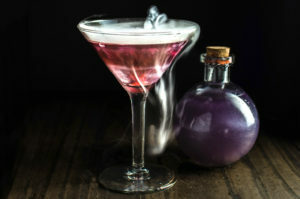 So get out your shakers and blenders and break out the booze to mix up some of these fiendishly yummy Halloween Cocktails! 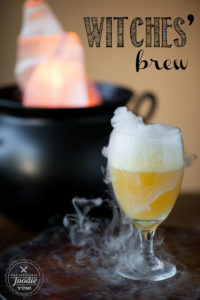 They’ll be a spooktacular addition to your Adult Halloween Party. Or you can whip some up and snuggle up with your partner once the kids are tucked in after a long night of trick or treating! However you decide to imbibe please do so responsibly and don’t drink and drive! 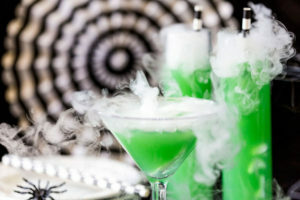 For Rent’s Green Potion Halloween Cocktail is simple to mix. Infused Water, sounds fancy right? I know it sounds like some expensive water found only at spas and trendy cafés. But seriously it’s not! Infused water is simply put plain old water flavored with fruit, veggies, herbs, or a combination of the three. 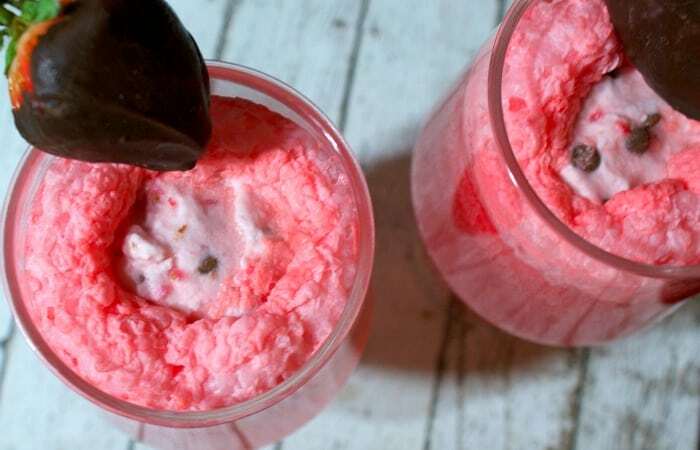 It’s also so easy to make at home, all you need is water, your flavoring, and a container. We’ve been making and serving infused water at many of our events for years. They’re so pretty to look at and adds a flavor twist to water. 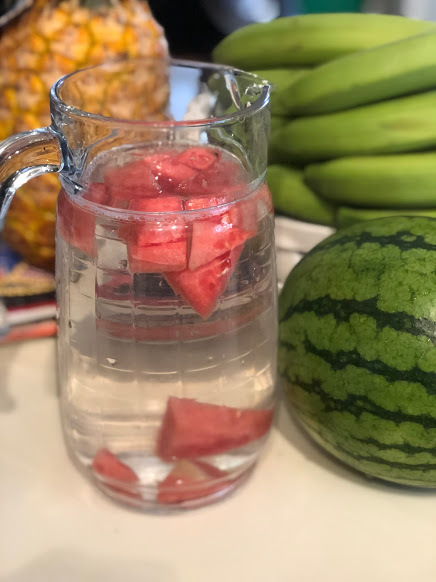 Now when I say flavor I don’t mean your water will taste like the fruit or veggie you infused it with, it’s more of a hint of flavor, just enough to give it that special refreshing yum! Recently I had a condition called Rhabdomyolysis, a rare syndrome that basically causes muscles to breakdown and release their contents into the blood stream. Though rare it can be very serious and in my case required a four day hospital stay. There are several things which can cause Rhabdomyolysis, in my case it was the statin medication I was prescribed for my cholesterol. There are also several signs that cause doctors to suspect the syndrome. In my case my muscles were weak, I was dehydrated, and I had a potassium deficiency. Blood tests confirmed that I did indeed have Rhabdomyolysis. Although there are a variety of causes and symptoms there is one general treatment for the syndrome and that’s hydration to flush the myglobin (chemical released when muscles breakdown) out of the blood stream and kidneys. Of course more severe cases may need other treatment measures. But in my case IV fluids for 4 days and a few potassium pills were all I needed to flush my system and get my blood tests back to normal. I was sent home with strict instructions to stay hydrated, meaning drink lots and lots of liquid, specially water. This is where infused water comes in. Don’t get me wrong I drink lots of water, in fact I fill up my 40 oz. hydroflask with ice water 3-4 times a day. But sometimes I’m looking for a bit of a change and infused water really hits the spot. 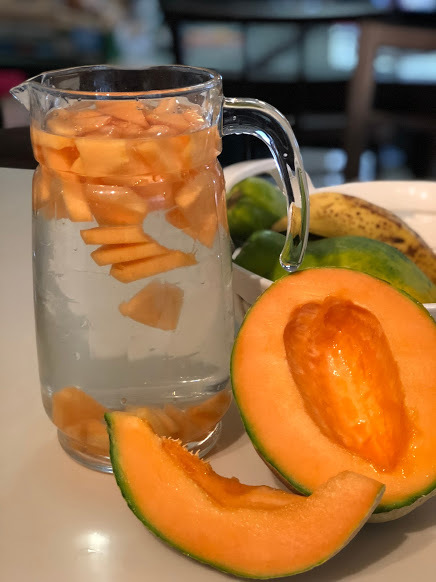 I’ve made cantalope, watermelon, and pineapple infused water, as well as citrus infused water. I also like to use mint, it’s very refreshing. I’ve been toying with different possible combinations, they do seem endless. But here’s the basics for making your own infused water. 1 quart water – you can use tap or bottled water. I prefer Aqua Panna or San Pellegrino Sparkling water if I want a bit of fizz. Infused water will be drinkable for 2 days if stored in the fridge. Toss out any left overs after 2 days. 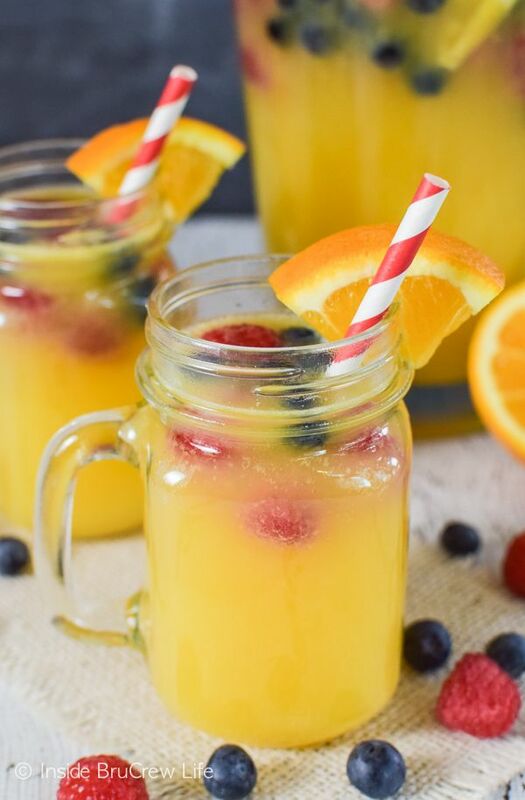 When we serve infused water at an event or party I usually strain the old fruit out then place the water in a pretty glass drink dispenser. I garnish it by floating fresh fruit in the water. This adds flavor and makes it look pretty too! 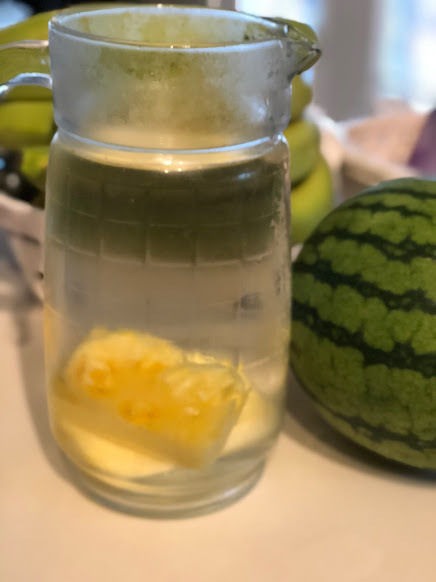 Do you have a favorite infused water recipe? Please share it with us! Mushrooms are delicious, nutritious, and versatile veggies people love to have around and toss in a myriad of dishes for surprising taste and texture. The only problem with mushrooms is that you have to use them while they are still fresh. Spoiled mushrooms may lead to health problems or ruin your perfect recipes. 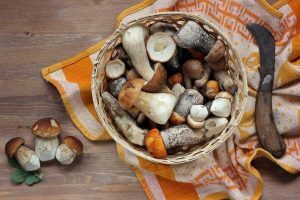 Today, we will focus on the telltale signs of mushrooms gone bad and offer you some quick tips on how to make the best out of your beloved fungi. In our case, we will talk mostly about mushroom’s shelf life in the fridge, as we hope nobody keeps mushrooms lying around in the kitchen. If you want to find out how long do mushrooms last and tips for increasing their shelf life at home check out the linked article about the topic. Once you brought the ‘shrooms home, put them in the fridge, but do not forget about them! Roasted mushrooms: up to 10 days in the fridge, but up to a few weeks in the freezer;Frozen mushrooms (freezer): check the label for expiration date. You can remember when you bought them and realize you are past the 10-days deadline; you can still cook them,but you should be careful. They have a funky odor: mushrooms smell like mushrooms, but if you open the bag or the container and have to turn your head away– you should toss them. Freeze them in parchment paper and store them in airtight or vacuumed bags/containers; the best way to freeze mushrooms is to cook them first and seal them in airtight containers or bags – whichever has less air inside. Enjoy your mushrooms and keep them fresh for as long as you can as these delicious ingredients can turn any recipe into a gourmet work of art! By now many of us have already seen the newest Disney Star Wars movie. You know Solo: A Star Wars Story. And we’ve been bombarded with Solo merchandise from Solo Movie cups at Denny’s to action figures at the toy stores. As expected the latest installment of the Star Wars saga has renewed the movie’s popularity. We’re watching Star Wars movie marathons and hosting Star Wars themed parties. 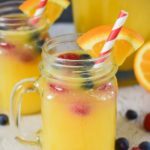 Last week I posted a list of Star Wars inspired recipes, so it’s only fair that I post a list of Star Wars inspired cocktails, mocktails, and other drinks. 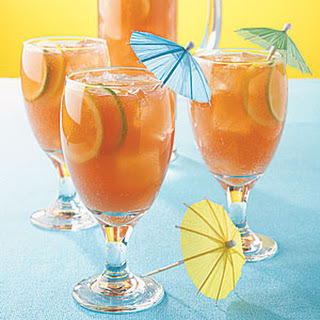 Believe there is no shortage of these drink ideas! I’ve decided to divide my roundup of Star Wars inspired cocktails, mocktails, and other drinks into non-alcoholic and alcoholic beverages. But if one of the alcoholic cocktails catch your fancy but you want to serve it at a kid’s birthday party, just make it a virgin. You know leave out the booze! Or you can spike the kiddie version and serve it at an adult party. 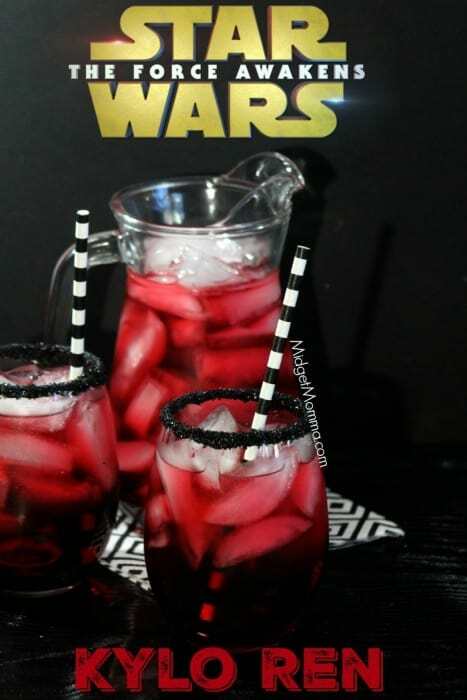 However the force inspires you I’m sure your Star Wars inspired cocktails will make you the host or hostess with the mostest this summer! Whip some up for your kid’s Star Wars birthday party and you’ll rock! You’re sure to be the parent of the year, or maybe the summer anyway. 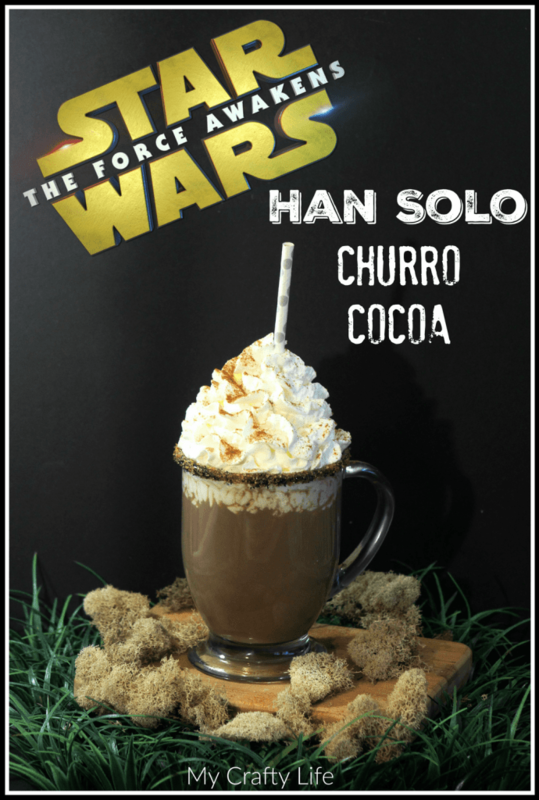 Since the movie is all about Solo I’ll start with My Crafy Life’s Han Solo Churro Cocoa. I know it’s a bit hot for cocoa, but the kids will love if for breakfast anyway. Serve it the morning after a summer sleepover. 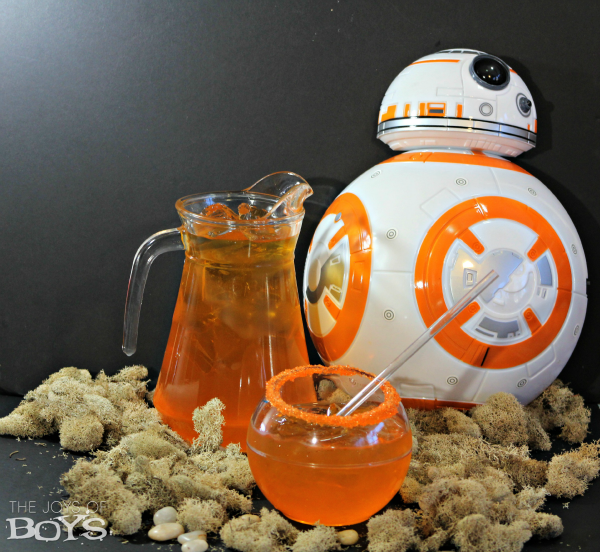 Whip up this BB-8 Punch by The Joy of Boys. It’s a refreshing party of any Star Wars themed event. Now here’s cool Star Wars drink from Sugar and Soul. 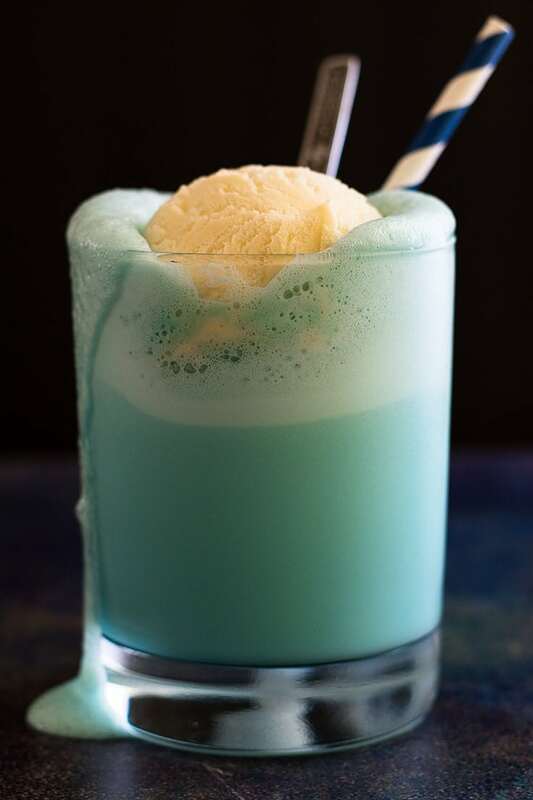 Oooh blue milk! Awesome! This is perfect for your next Star Wars movie marathon! Wow! The name’s a mouthful, but it paints a yummy picture! Here’s the recipe from Nerdy Mama! Now this looks yummy in a sinister sort of way. The kids and adults will love Midget Momma’s recipe! 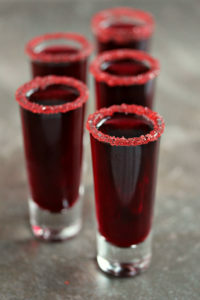 Now let’s move on to the fun party drinks, alcoholic cocktails! 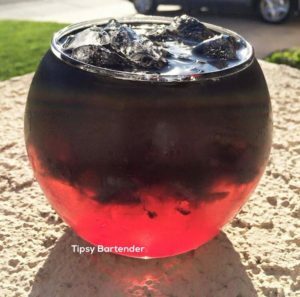 Here’s the adult version of the Kylo Ren drink. Kahlua, milk, and mint ice cream, what’s not to love? After a couple of these you’ll be floating with Yoda! Here’s the recipe from Homemade Hooplah! 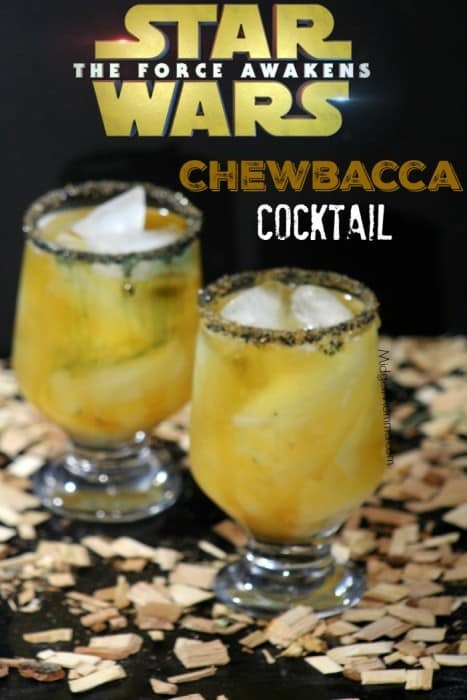 This spice whiskey based cocktail by Midget Momma is sure to grow hair on your chest just like its namesake Chewbacca the very hairy Wookie! 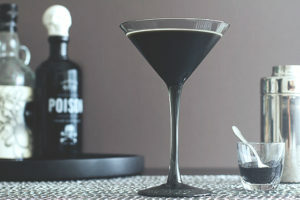 It’s actually a Black Widow Martini by Eclectic Recipes, but it works if you’re planning on setting up a Star Wars Cantina! 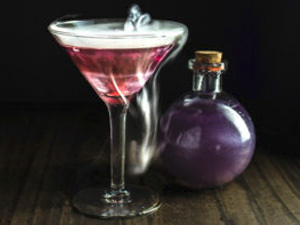 Check out this martini by The More You Nerd Podcast! This list wouldn’t be complete without a drink named for the hero of the lastest Star Wars movie. Coffee liquer, Irish Cream, and Vodka, this drink packs a punch! 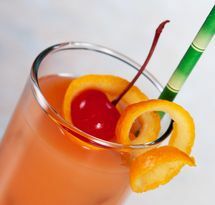 Here’s a Rogue One Cocktail with pineapple and orange juices. Yummy! 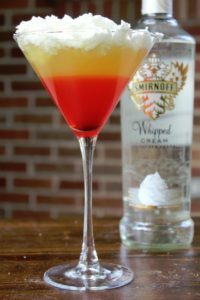 Get the recipe from Whiskey and Sunshine! Planning a Star Wars themed event? 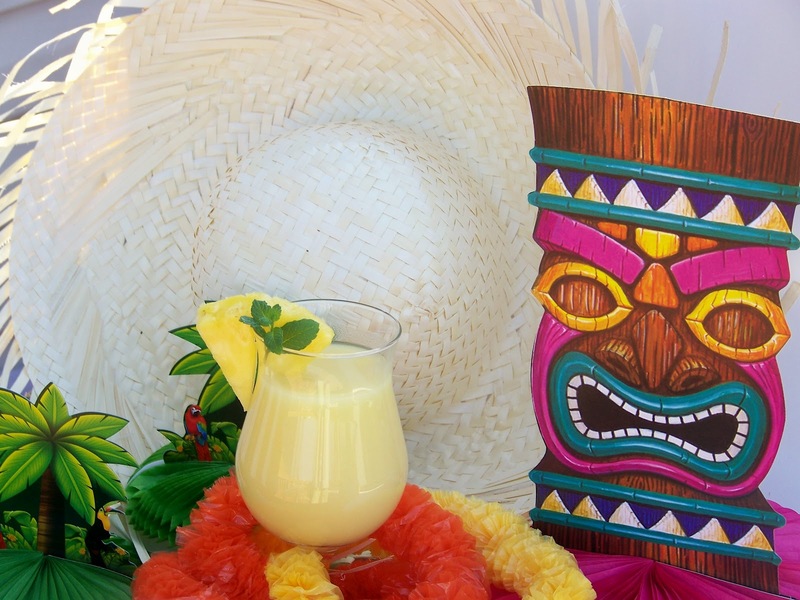 Let Savvy Nana Crafts design the perfect party stationary and decor for your event! Father’s Day is right around the corner. And it’s also the beginning of summer, the perfect time to sit back relax and enjoy a barbecue. Food is the way to every dad’s heart, so why not treat him with Personal Creations’ homemade barbecue recipes? These four delicious recipes are fit for every dad’s taste buds. The smoked honey barbecue sauce is perfect for a dad who enjoys a little sweetness, and the fire and zing sauce is ideal for the dad who likes a little spice. This is a great homemade gift for dad that the whole family can enjoy!